Are you new to CAD or Fusion 360? If so, this short course is perfect for you. Learn the basics of parametric modeling, freeform design, assembly creation, rendering, 3D printing, documentation and collaboration while designing a mid-century inspired desk lamp. Step-by-step video instruction, print guides, and practice exercises make the process fun and easy to follow. This course is a revised update to our course "Introduction to Fusion 360: Design a Lamp in an Hour." • An updated, mid-century inspired lamp design. • A starter activity to quickly onboard you to the Fusion 360 interface. • Updated lesson content to align with most recent Fusion 360 product updates. • Updated quiz questions and challenge assignments to test your knowledge. In this lesson, we're provided with a wooden candle holder and walked through how to create decorative cutouts using parametric modeling. We'll also learn how to make a photorealistic rendering of the candle. • Identify the various areas in the Fusion 360 UI. 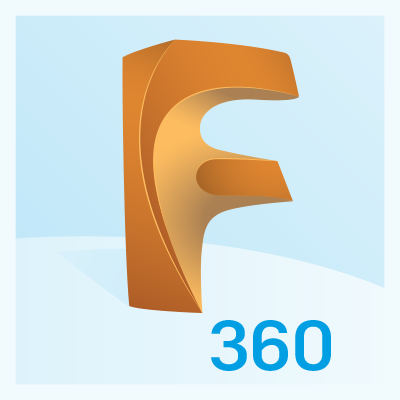 • Customize the Fusion 360 interface. In this lesson, you learn about the Fusion 360 user interface by first being exposed to it though a lecture followed by a hands-on walkthrough of the complete UI. In this lesson, you learn how to make a parametric sketch and turn that into a revolved solid. That solid will receive additional features giving it the detail it needs to be a lamp base. • Create a parametric sketch. • Turn a sketch into a solid. In this lesson, you learn how to create a sweep along a path to model the complex shape of the lamp arm. • Create complex sketch geometry. • Create a swept pipe. In this lesson, you learn how to create more detailed features using sketches, revolves and extrudes. Students will detail the ball joint assembly components that allow the lamp shade to be adjusted. • Identify bodies and components. • Design components in context. In this lesson, you learn how to take a parametric sketch and create a model that can be pushed and pulled to create complex organic geometry. • Create a sub-divided form. • Turn a surface into a solid. In this lesson, you learn how to assemble components in Fusion 360 and apply joints. • Explain bodies and components. • Assemble components using joints. In this lesson, you learn how to create detailed 2D drawings of their design. • Detail and document a design. • Export and share a detailed drawing. In this lesson, you learn how to setup and produce a rendered image of their lamp. • Produce a cloud rendered image. In this lesson, you learn about exporting and file type details for producing a 3D print. • Explain STL export settings. In this lesson, you learn how to collaborate with others while designing in Fusion 360 using cloud collaboration and design review. In this lesson, you gain additional practice by applying your Fusion 360 knowledge and skill to the course challenge assignment. Test your skills and showcase your knowledge by demonstrating your actual skills, expertise or just see where you stand.